And that’s the email that kicked off Day “T-21.” All caps emotion with just a whiff of hysteria. The mirrors were in-stock, but the lights were backordered until October 6th. No worries. We didn’t really need them until the middle of October anyway. And the “special” price versus the “regular” price was worth a few laughs. With finish work underway, John asked us to do an inventory over the weekend and make sure everything was on-site. (Apparently WE NOW HAVE A DEADLINE.) In the process noticed that the Pottery Barn lights weren’t there. Checked the Pottery Barn on-line account and the shipping date has magically moved to the end of October 24th. Called Customer Service and find out that the date is wrong. It’s now actually NOVEMBER 27th. No notice. No nice call or email saying “we’re sorry we’re late.” Zip. Nothing. Nada. 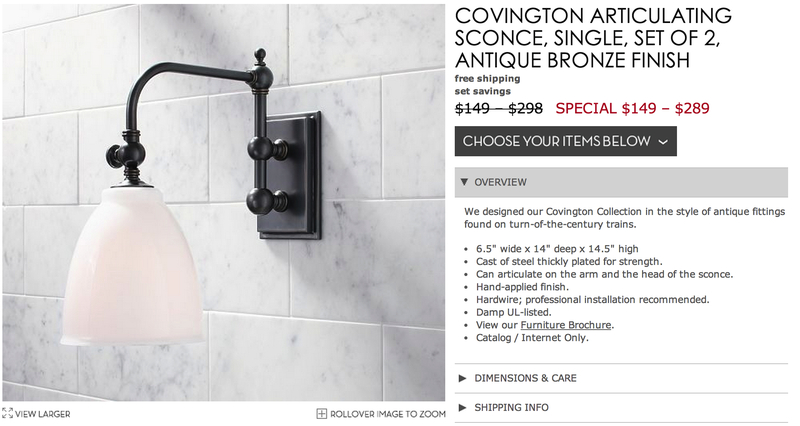 And if you check the Pottery Barn site today, you’ll see nothing about the backorder date. It’s just a teeny little surprise that they’re saving for a rainy day. 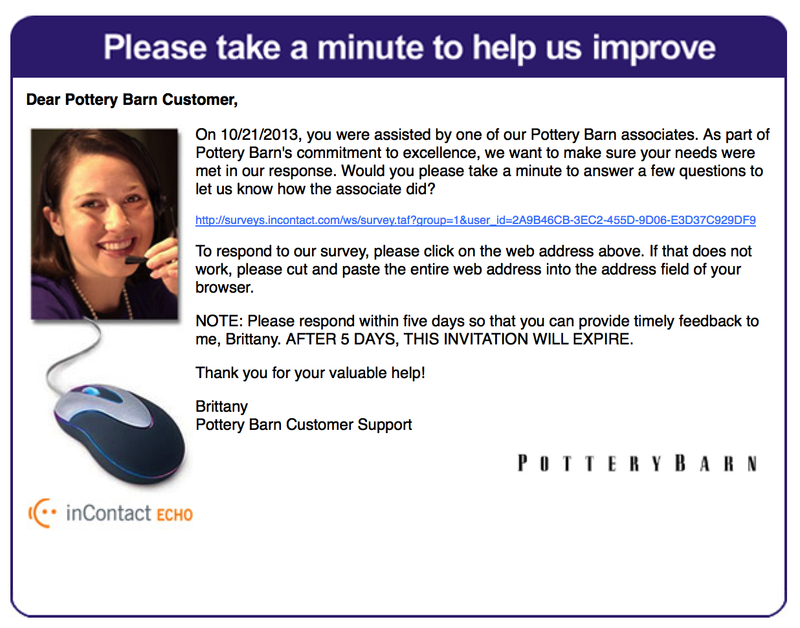 Just two more glasses of wine and we’ll be ready to share some feedback with Brittany and the rest of the Pottery Barn team. Cute post. And so true. I have purchased most items for my reno online – mainly because I can’t get what I want locally. And that’s the price you pay for web purchases. They’re too far a way to punch them – and they know it. Cheers – and do let us know how the chat with Brittany goes. you put it well – “too far away to punch”. I am livid at Pottery Barn – feels like highway robbery if you ask me. I am in Canada trying to buy a few baskets. The basket is $39 US or $54 Cdn….this equates to a 72 cent dollar vs the 91 cents which it actually is…and I still have to pay shipping, duty and taxes above that. It is garbage. Added to the fact that when I first went on the price was $47 Canadian and 10 minutes later it was $54. I called customer service and got a whole lots of nothing answers. Ok, I admit I still want the stupid baskets (which is why I am so angry) but on principle I may need to hold out &…they are too far away to punch!